Garden Fountains provide you with a unique and creative way to decorate your landscape and outdoor living space. The soothing sights and sounds of running water are incredibly relaxing and add interest to your landscape (and indoor spaces too). 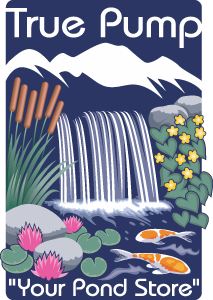 Many homeowners desire a water feature but may not be ready for an Ecosystem Pond or Pondless® Waterfall, don’t have room for these types of features or they may not fit into your budget. Your Garden Fountain may include a bubbling urn, a statuary piece or other decorative item, natural or carved stone or a small container water garden. Garden Fountains can be designed to fit almost any space or budget! A Garden Fountain consists of a water reservoir, a decorative piece installed on top of the reservoir, a fountain pump and the required plumbing. We recommend AquaBasin™ reservoirs because of their superior strength and durability, simple pump access panels and ease of installation. AquaBasins™ are available in three different sizes to fit your individual application. A fountain pump and plumbing need to be selected to provide the required flow rate at the desired height for the decorative piece you will be using. Pump kits are also available that include a fountain pump, piping and the necessary fittings to complete your project. 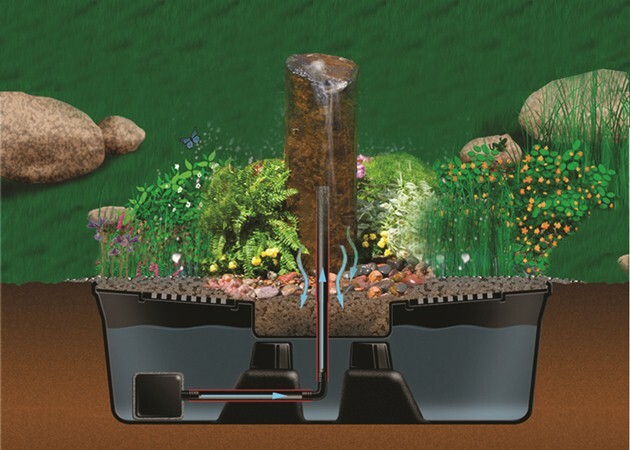 A container water garden is a Garden Fountain that is actually a smaller version of The Ecosystem Pond that will fit almost anywhere. A container garden requires a water reservoir, a small fountain pump, rocks and gravel, aquatic plants, fish and beneficial bacteria. Container water gardens are a wonderful addition to even the smallest of spaces. You will enjoy the color and texture of the aquatic plants and smile as your fish come up to greet you! 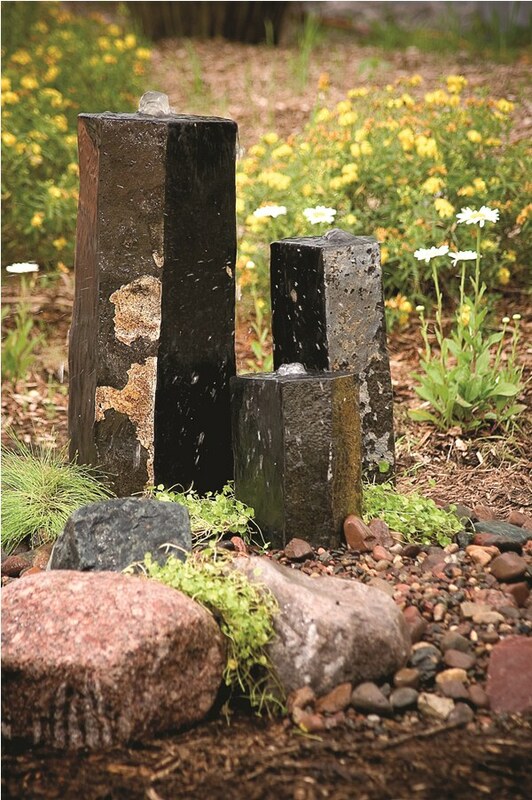 True Pump carries a wide variety of fountain kits and decorative pieces to help you create the Garden Fountain you’ve been dreaming of.